What are Personalized Children's Books? Personalized Children's Books are innovative and exciting story books where the reader becomes the star of his or her own adventure. 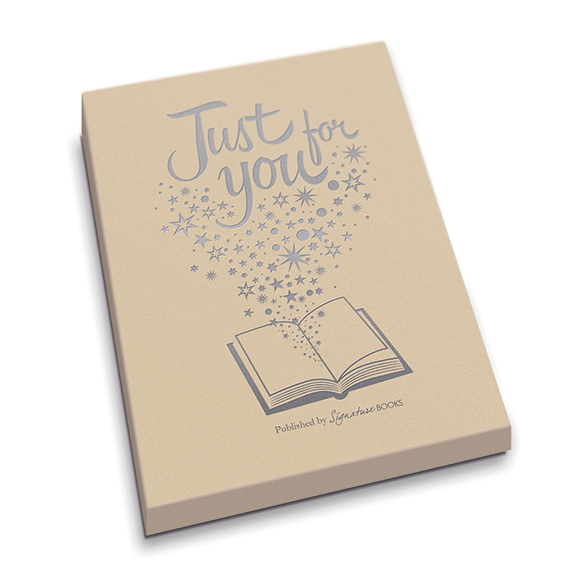 Each story contains the child's name, age, hometown and friends, plus a special message from you. Personalized Children's Books encourages children to read and enhances their self-esteem and self-image. 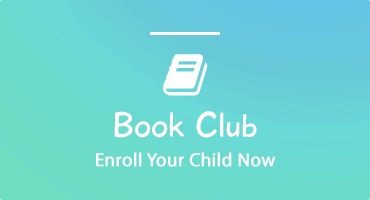 Our books will provide your child with a unique reading experience that he or she will want to repeat many times over. Bound in washable hard covers and featuring beautiful rich color illustrations, Personalized Children's Books are built to last a lifetime. We offer a number of titles to choose from for every occasion. Click here to visit our complete selection of titles. What are Personalized Children's Music CDs? Personalized Music CDs are audio CDs that contain stories and theme songs from popular shows personalized to include your child's name. Your child's name is mentioned throughout the entire CD by their favorite characters. Unlike our personalized books that can be made to include any child's name no matter how unique, Music CDs have limited names available. We provide sample songs for all of our music CD titles where you can hear songs personalized with your child's name. For example, click here to listen to song samples for Elmo and Friends personalized with your child's name. Please verify that your child's name is available in the list of names when ordering Personalized Music CDs. Each Music CD has their own list of available names. Also, if the spelling of your child's name is different, that's okay, we can spell the name any way you like, for example, Katelin, Kaitlyn, or Catelyn. What are Personalized Kid's Photo DVDs? Personalized Photo DVDs for Kids makes your child the star of their own cartoon adventure with today’s most popular characters. 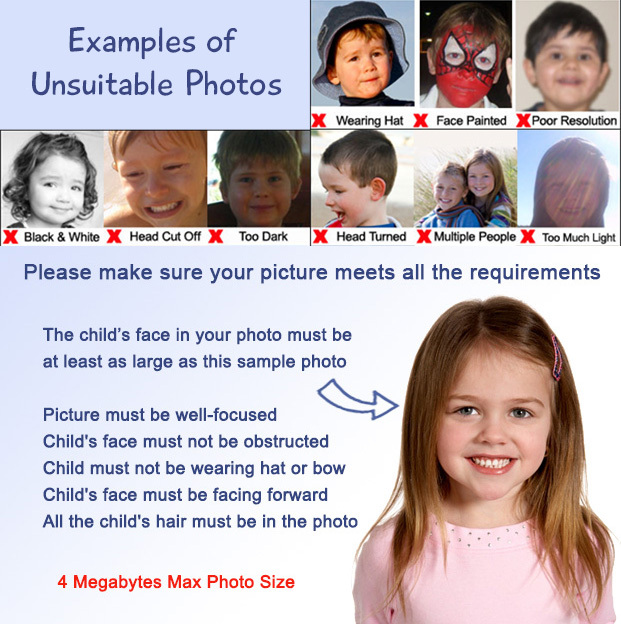 Your child's face and name are incorporated into the cartoon animation. All we need is a digital photo of your child. Please be sure that the photo is clear, child is facing forward with no obstructions to the face (no hat or sun glasses). View Sample Picture and Guidelines. We provide samples clips for all of our DVD titles where you can view the cartoon. For example click here for a sample of our personalized photo DVD for The Little Mermaid. Is it safe to order through your site? YES, our site uses 256-bit encryption technology, which means that all the information you enter on our site will remain secure. Our site is secured by Thawte, a leader in providing web site security. You can tell that our site is secure because it will display the on your web browser's address bar while you place your order. Click here to verify our site's security certificate. KD Novelties is also a Better Business Bureau accredited company with a current A+ BBB Rating. We take great pride in providing our customers with stellar service, high quality products and a pleasant shopping experience. You can track and view the status of your order at any time by clicking here (also accessible by clicking on the Order Status link on our footer) and entering your order number and the email address you used when you placed your order. 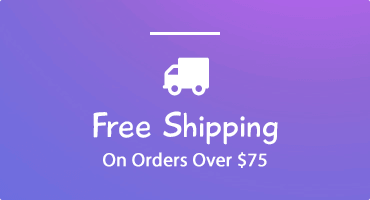 The details of your order, including the personalized information provided for each product, is also available on this page, so that you may verify your information at any time. A link to view the status of your order is also included in your Order Confirmation email when you place your order. When your order ships, you will receive an email including a link where you can track delivery of your order through the US Postal Service. Please note that tracking information is not available for First Class Mail. What can I use as a "dedication" in the book? If the child is related to you and there is no special occasion, we typically suggest "With love, X" as the dedication. However, if you're giving a book as a birthday or holiday present, specify the occasion in the dedication such as "Happy Birthday! or "Merry Christmas! We also recommend that you indicate the year in which the book is given. 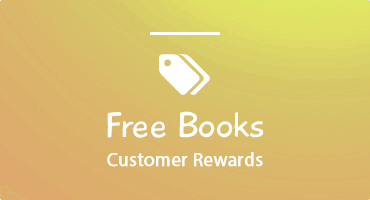 Can I view the illustrations and read the story for each book? We provide a virtual tour of all our personalized children's books so you may view the color illustrations as well as read their story line. We feel the virtual tour is the next best thing to holding the actual book to give you an idea of how each book looks. In addition to our virtual tour you can preview your story personalized for your child prior to purchasing. Look for the "Preview" button where you enter your personalized information for our books. Can the book be personalized for a child located in another country? Absolutley! Simply provide the country and province, for example to use Rome, Italy as the country and province, enter Rome as the "Hometown" and Italy as the state. Your personalized information will read as Rome, Italy in the book. Some of our books are available in Spanish. If you want to order a book in Spanish, please contact us for more information. Is it okay to submit my order form without the child's age? It will come out just as good regardless of whether the child's age is included in the book. The same goes for the child's middle name - it's up to you whether you want to include it in the story. Can I see how the book is personalized for my child? YES! You can preview your story personalized for your child prior to purchasing. Look for the "Preview" button where you enter your personalized information for our books. I don't see my child’s name in the list of available names for a music CD? We would first advise to check to see if the child’s name is spelled differently, for example Katelin, Kaitlyn, or Catelyn. If we do not have the name then unfortunately we are not able to produce the music CD as names are pre-recorded. How can I contact you if I'm having problems with your website? If you experience any problems with our website, or the ordering process, please email us at info@kdnovelties.com or call us at 845-510-4090. We will respond within 24 hours and help you through any questions you may have. Can I change the information I already submitted? Yes, just email us at orders@kdnovelties.com or give us a call at 845-510-4090 within 24 hours of placing your order (12 hours during the holiday season as orders are expedited). Please remember to provide your order number, name, the child's name and the name of the book along with the information you would like to change. Remember, you can view the details of your order after it is placed, including the personalized information provided for each product, on our Order Status page. Do you offer gift boxes / gift wrapping? 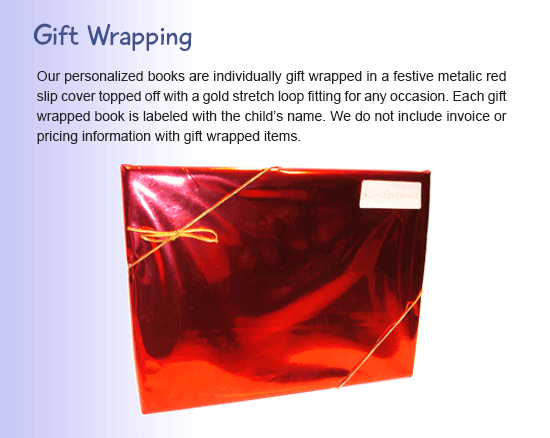 Gift wrapping or gift boxes are available for most of our personalized books. Available options depends on the type of book. You can select to have your book gift wrapped or gift boxed in our order form when you enter the personalized information. On Line - Select and fill out the personalized information for the book of your choice. In the View Cart section enter your gift certificate number and click "Apply". You will receive a confirmation that your gift certificate was accepted. Click on "Check Out" to provide your shipping address. Verify your information and click on "Place Order". By Mail - Fill out the order form on the back of the gift certificate with the personalized information for the book. Mail the gift certificate to KD Novelties, 787 State Route 17M #2164, Monroe, NY 10950. PayPal is a trusted and secure online payment system used by many companies on the internet to collect payment from customers safely and securely. eBay is one of the largest users of PayPal, with millions of members performing transactions every day. It is a free service to you, as the buyer. PayPal accepts all major credit cards and even lets you use your checking or savings account if desired. You are only required to pay sales tax if you are shipping to a New York State address. New York State sales tax will be applied to your order automatically if you are shipping to an address in New York State. Still have questions? Email us at info@ KDNovelties.com or call us at 845-510-4090.